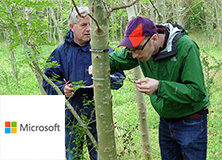 Earthwatch partner, Alcoa Foundation, provides grants that contribute to environmental excellence around the world, particularly in areas of biodiversity conservation and climate change research. The Alcoa Foundation invests where Alcoa Corporation, the world’s leading producer of primary and fabricated aluminum has a presence. The work of Alcoa Foundation is further enhanced by Alcoa’s thousands of employee volunteers who share their talents and time to make a difference in the communities where Alcoa operates. The world’s leading producer of primary and fabricated aluminum. Over 15 years ago, the Alcoa Foundation partnered with Earthwatch to create the Alcoa Employee Sustainability Fellowship program, an initiative that now sends 8 Alcoa employees per year on facilitated, week-long Earthwatch Expeditions. The goal of the initiative is to introduce employees to key climate change and sustainability topics as they relate to forests, carbon, and ecosystem services so that each employee can become an advocate for Alcoa’s commitment to sustainability. 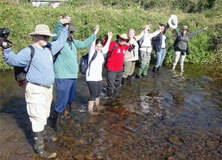 The relationship between the Alcoa Foundation and Earthwatch has continued to grow and develop over the years. 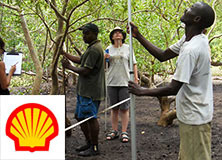 At the onset of the program in 2003, between 7 and 15 Alcoa employees were selected to participate in scientific field research expeditions alongside participants from the general public, funded by annual grants of $30,000 to $45,000. In 2008, the Alcoa Foundation made its first two-year investment in Earthwatch and developed a Community Fellowship Program to support community leaders in addition to Alcoa employees. By 2011, the partnership was extended to include a facilitated learning program around the topics of climate change and sustainability that was offered in three languages: English, Portuguese, and Mandarin. 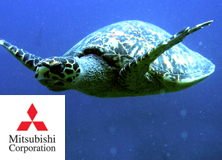 Most recently, the partnership has renewed another contract for 2018, which stems from a grant of $100,000 to send another 8 employee fellows to participate on a facilitated Earthwatch Expedition. 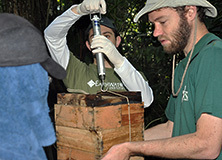 Since the program began, 282 Alcoa employees from 24 countries have provided essential assistance to 50 Earthwatch research projects in 30 countries. 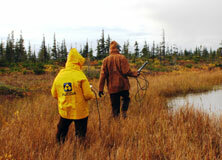 Since 2003, Alcoa employees contributed over 14,000 field research hours. Alcoa employee's can become an advocate for Alcoa’s commitment to sustainability. 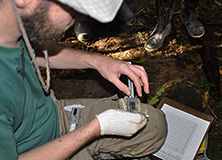 Alcoa fellows measuring trees in the Brazilian rainforest on a facilitated, week-long expedition in Brazil. The Alcoa team on Conserving Brazil's Atlantic Forest. Alcoans on Climate Change at the Arctic's Edge. 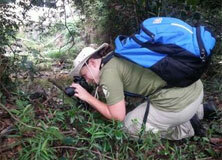 An Alcoa on Climate Change in the Dinghushan Forest photographing mushrooms. 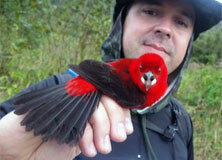 An Alcoan conducting bird research on Conserving Brazil's Atlantic Forest.